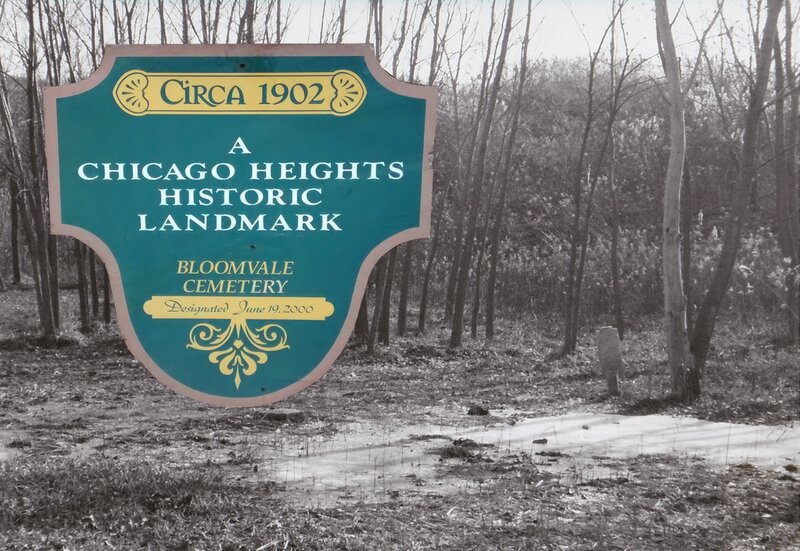 Chicago Heights began issuing burial permits in January 1902. 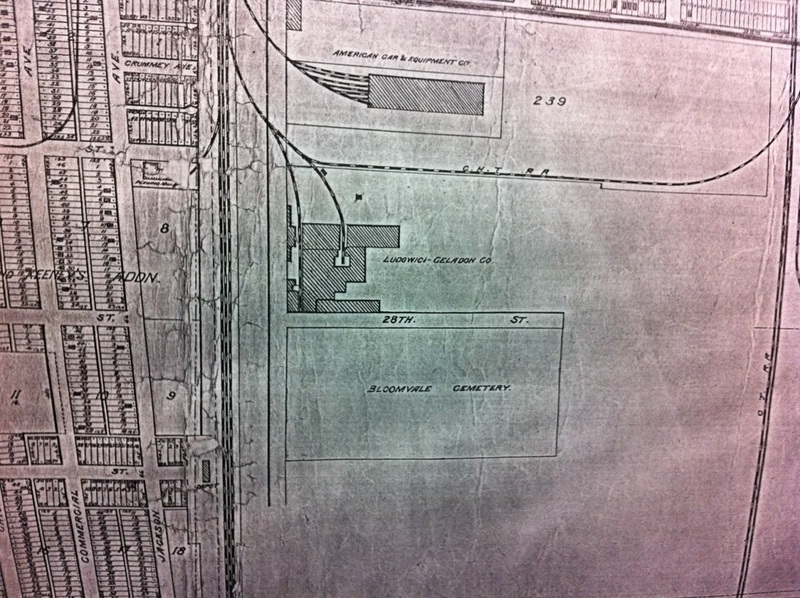 339 burial permits later, the last was issued in February of 1912. 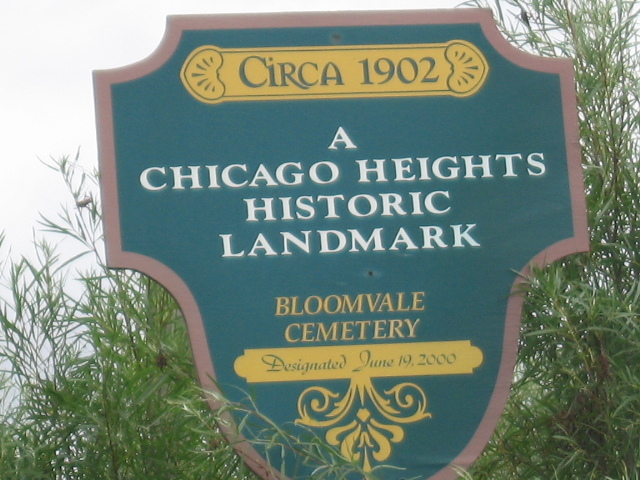 (these can be found on findagrave.com or at the Chicago Heights Free Public Library) Many founding members of the city were buried there. 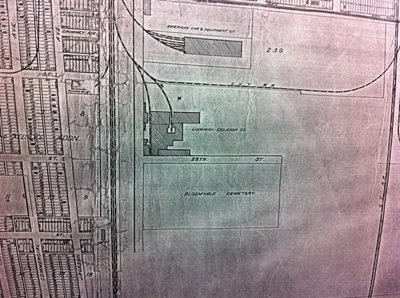 A 1907 map of Chicago Heights shows a large plot along 28th street (no longer an actual street) across from Ludowici-Celadon Co., a terra-cotta and tile roofing company long gone. 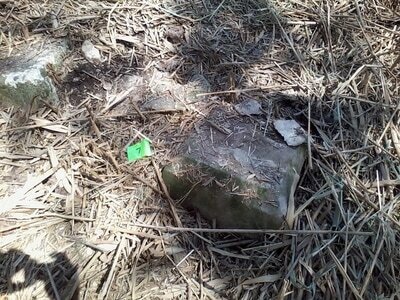 Also in the area was a brick company due to the rich clay deposits. 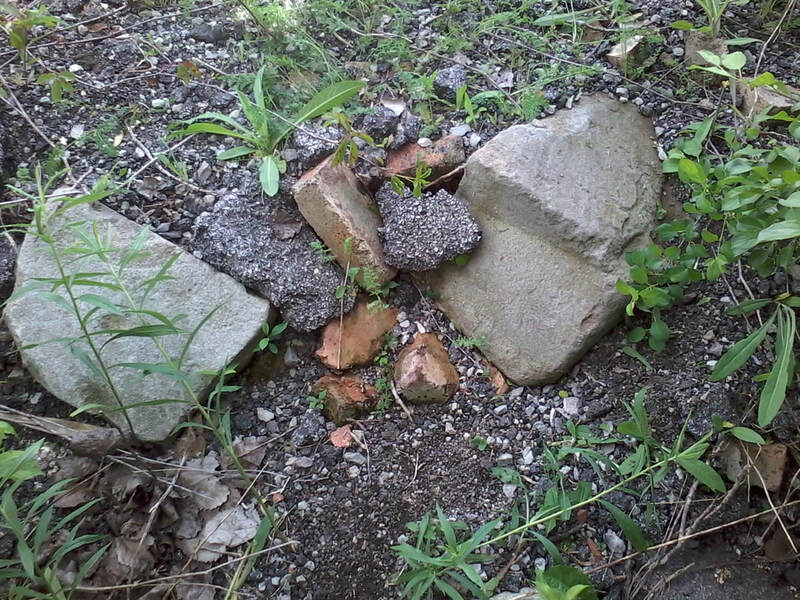 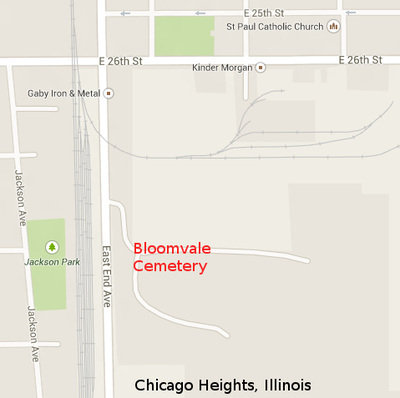 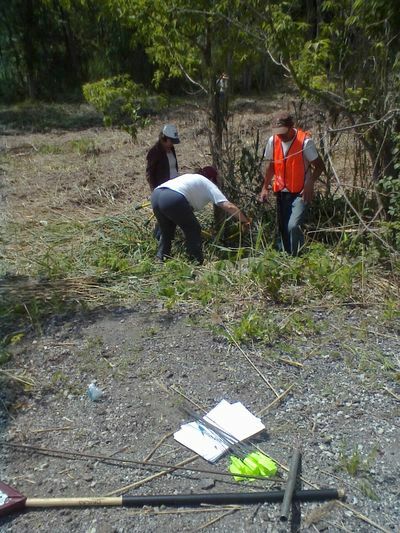 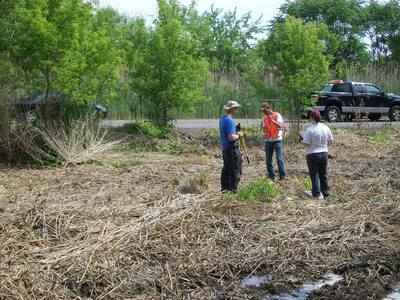 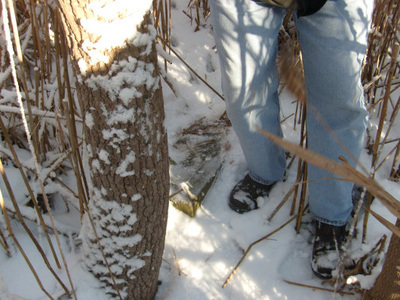 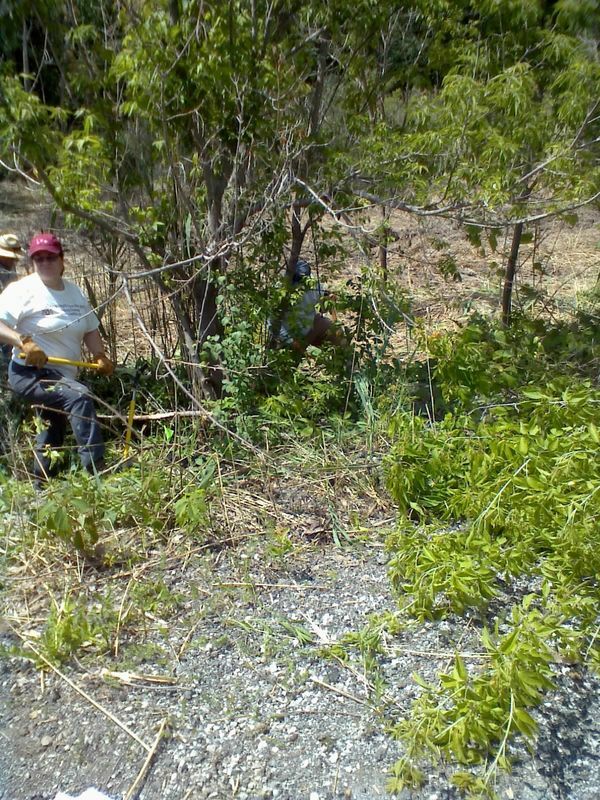 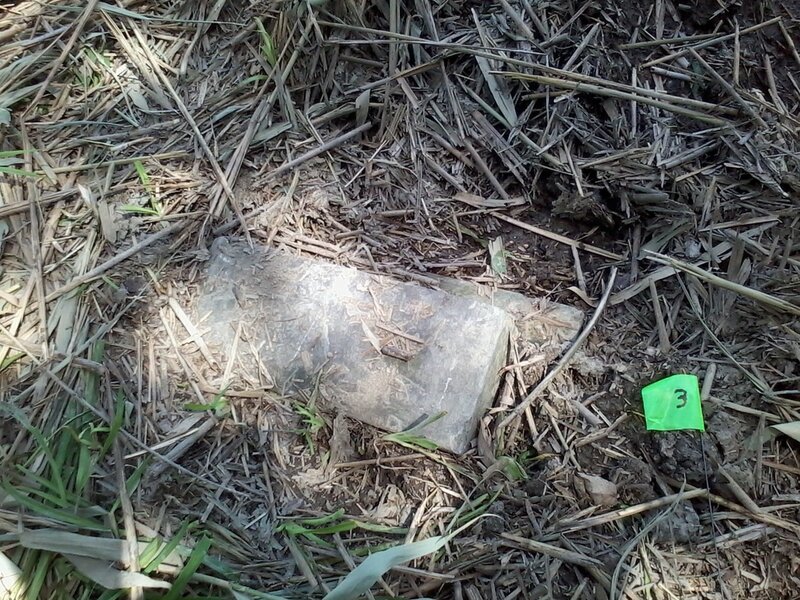 In June of 2014 we conducted a clean up and investigation of the Bloomvale Cemetery site to see what was left of the cemetery. 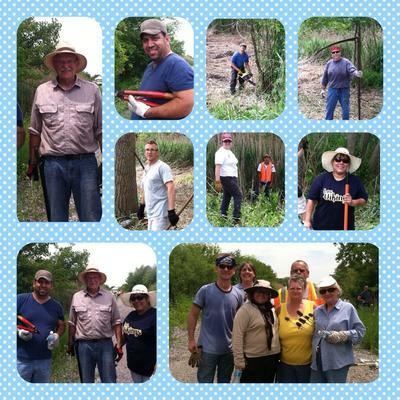 This was done with over 30 volunteers who came out and cleared areas around the initial site that the Chicago Heights Public Works cleared for us. 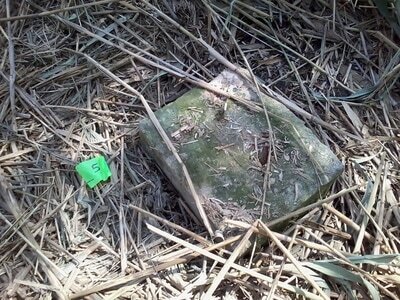 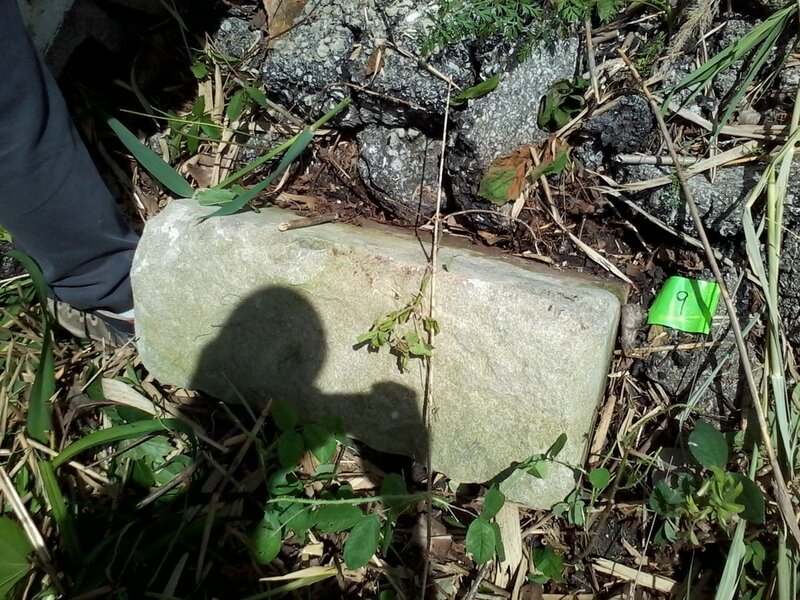 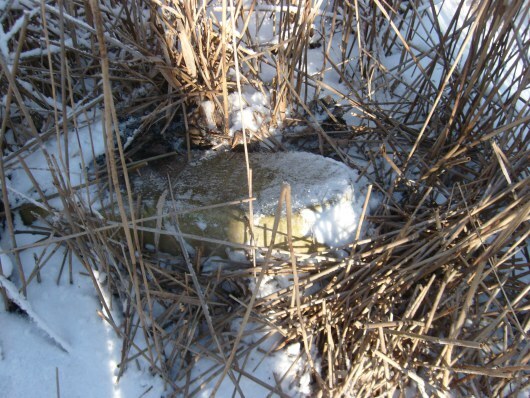 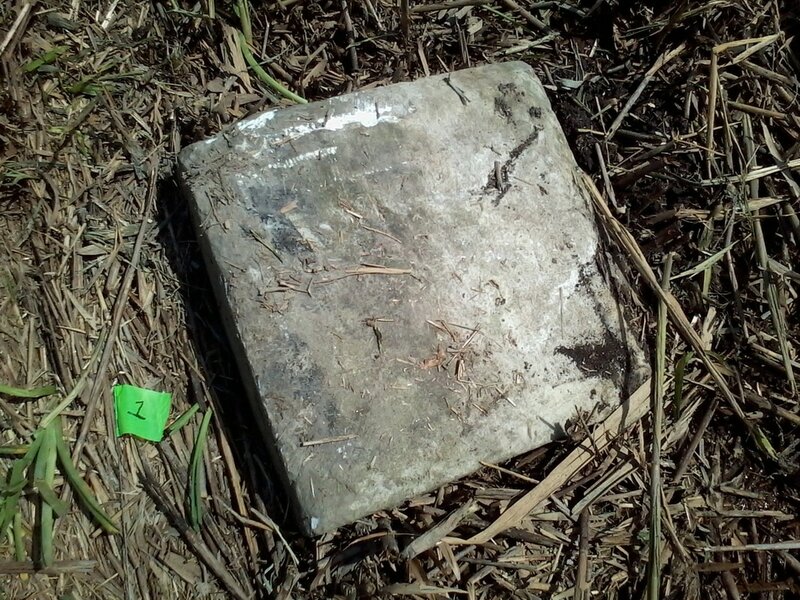 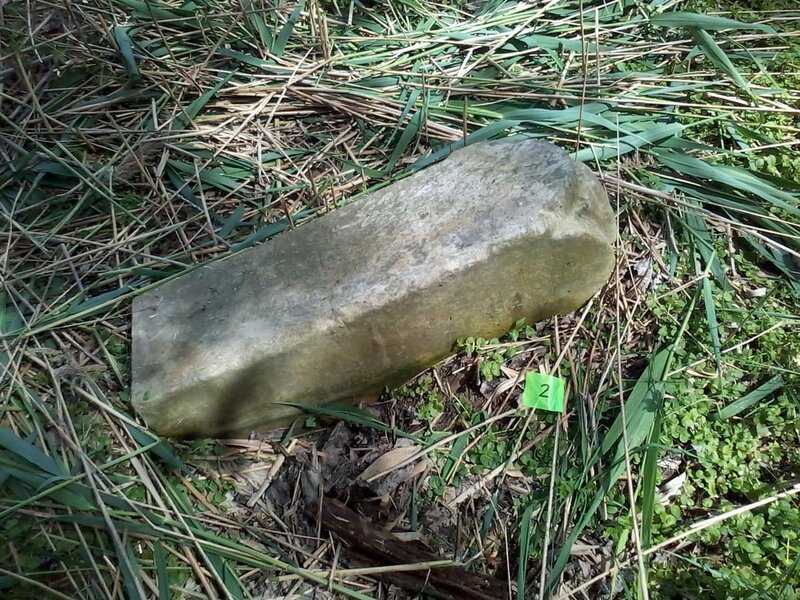 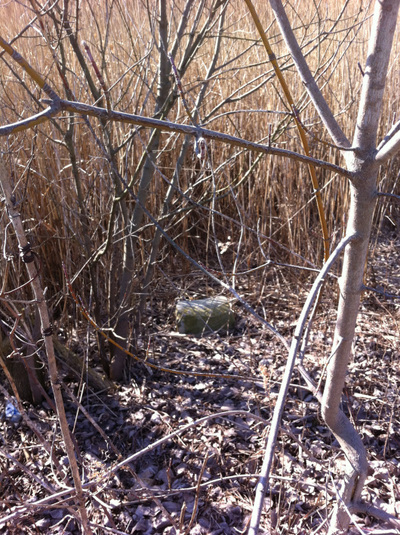 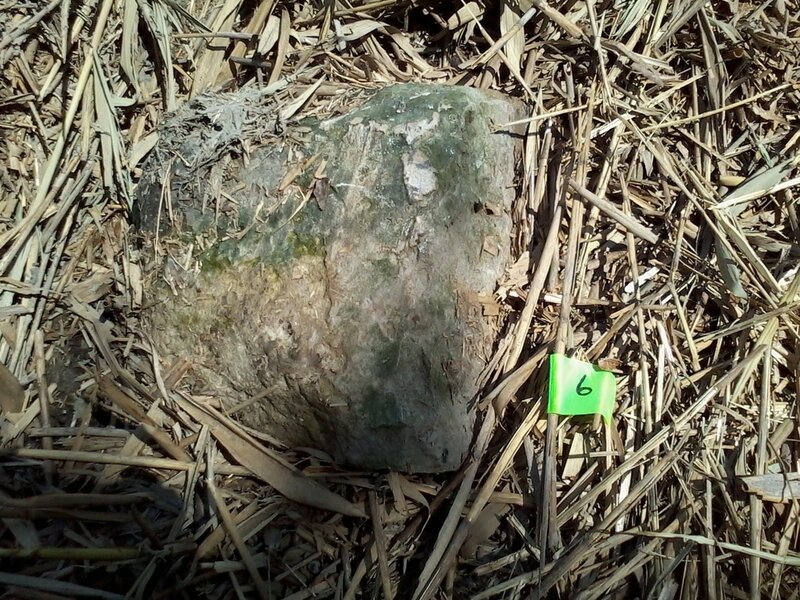 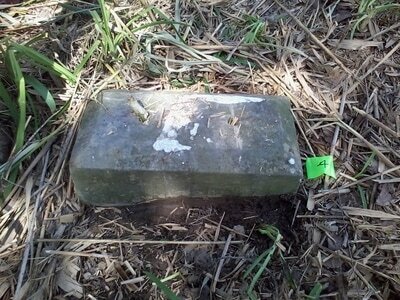 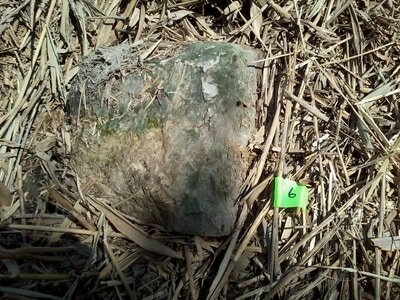 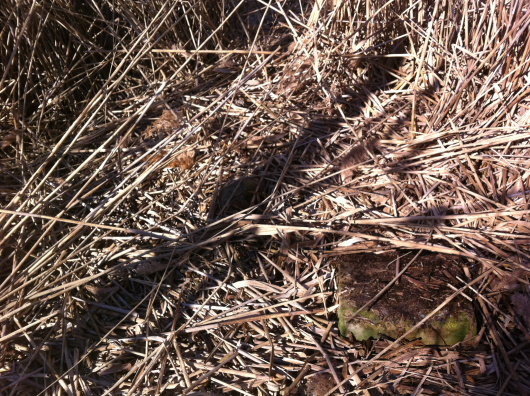 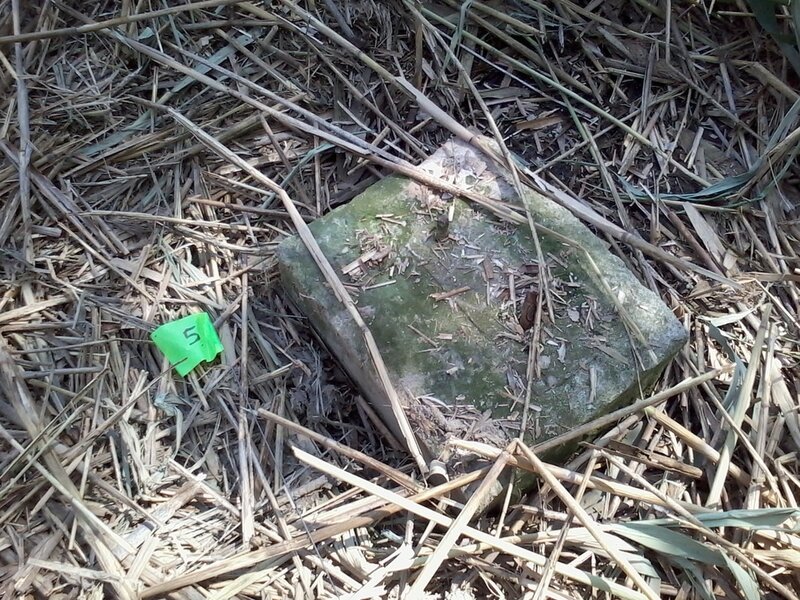 After the 10 foot tall reeds that grew on the site and were cleared, we found 12 grave monument bases and one unreadable obelisk. 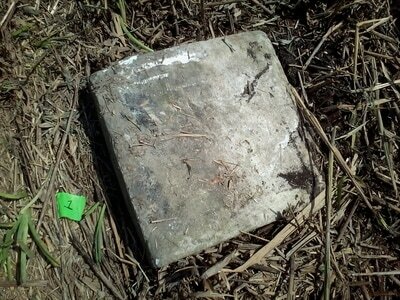 One base had a name "MILLER" on it. 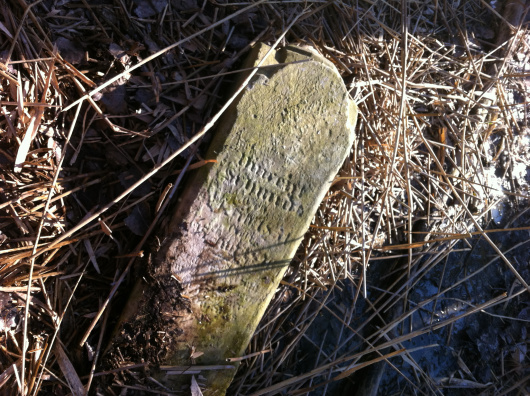 The name of Miller does not appear on the records from burial permits issues after 1902 indicating it may be an earlier burial. 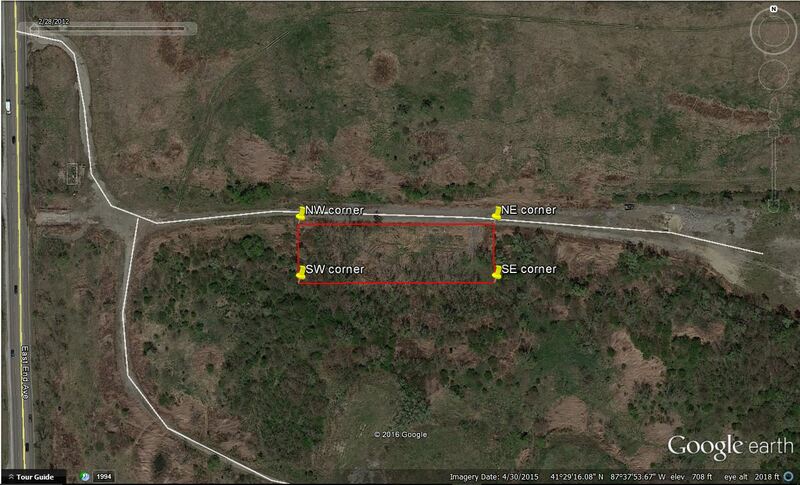 In 2016 the original boundaries of the cemetery's four corners were marked with 5 feet tall bright orange fence posts. 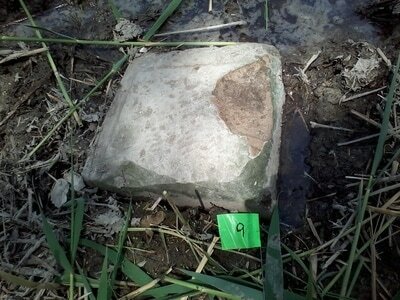 We used a GPS device and a copy of a plat survey. 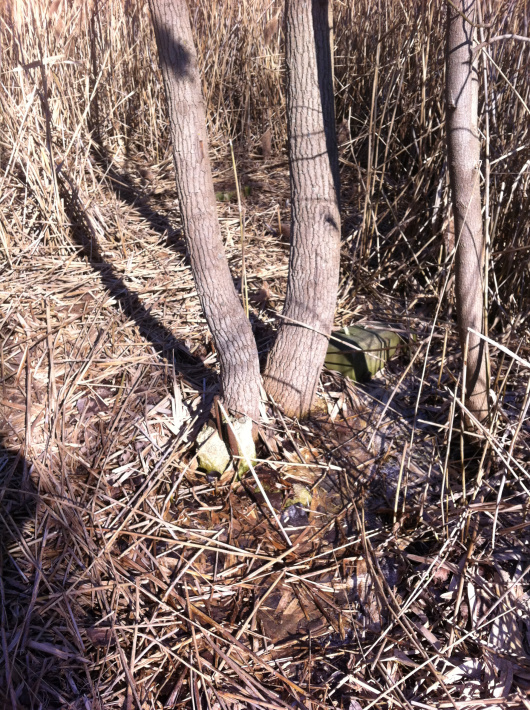 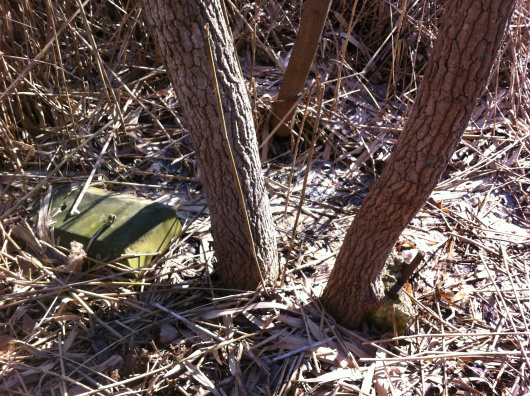 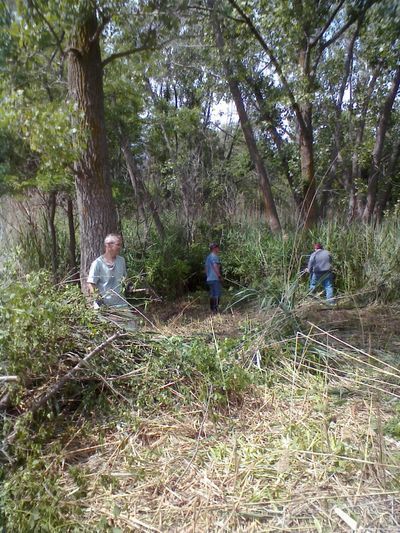 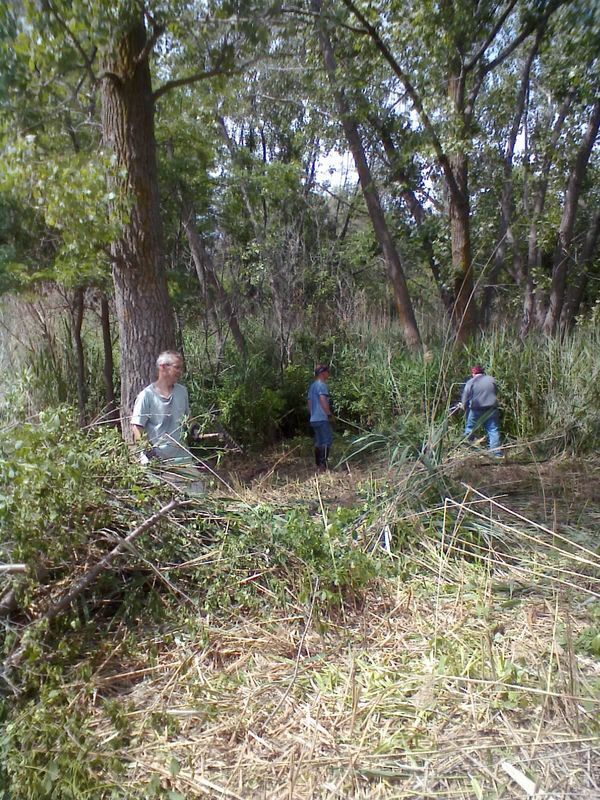 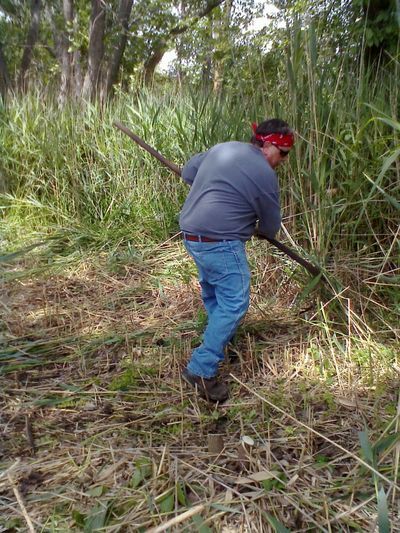 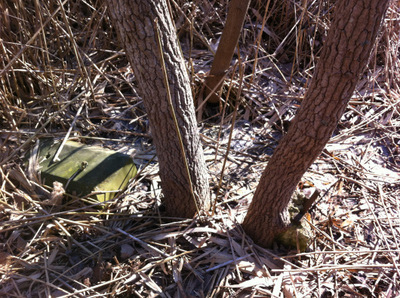 As of 2016 the entire site has grown back over with 10 feet tall reeds with no evidence it was cleared in 2014. 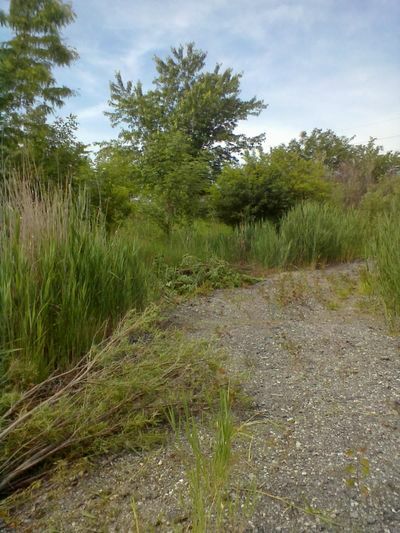 Due to the proximity of the site being either or partially under a garbage dump with methane pipes running through it, digging into the site any further is not viable. 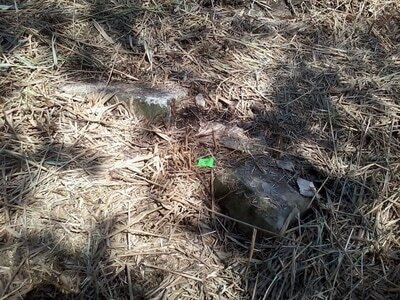 The site also holds a lot of drainage and rain water from the dumping site. Pictures of each base and the one obelisk were taken with a rough map and locations were turned into the Illinois Historic Preservation Committee in Springfield, Illinois. 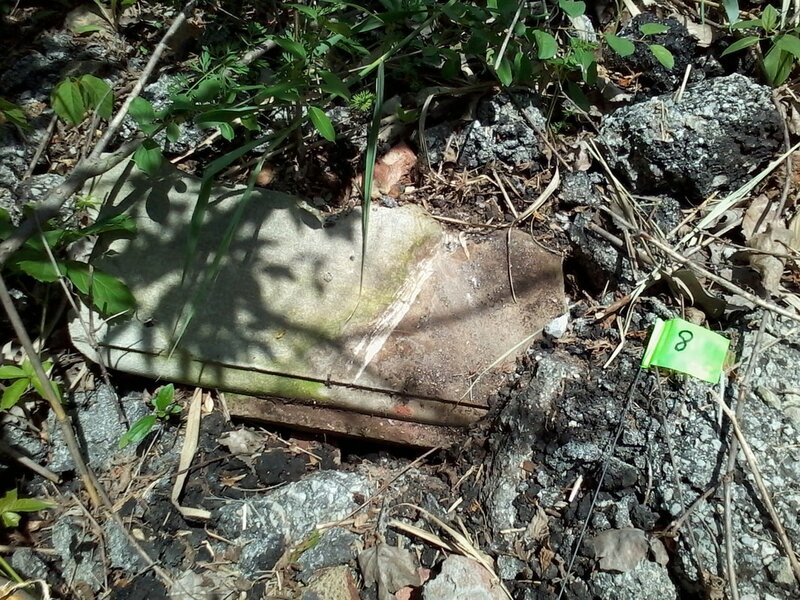 This site is off limits to the public for safety and health reasons.